You can hire a pumping company for big jobs like vacuuming, pumping, and hauling liquid wa100_1062ste from sand traps or liquid waste receptacles. However, many businesses forget about their grease traps. This is especially true if you have had to cut your budget or the facility has recently changed hands. Because it is of less priority compared to other operations, it can fall to the bottom of the list or off it entirely. Simply put, new managers or owners do not always think about the grease traps until it is too late. Not just used for restaurants, hotels or supermarkets, many industrial and manufacturing facilities use grease traps to ensure the entire property is operating optimally. No matter where your grease traps are, we service these devices as part of your water and sewage system. To get a better understanding of what they are and why they need regular inspection, take a look at the information below. After you read it, you will see why adding professional, third-party grease trap servicing to your regular maintenance inspections is the best course of action. A grease trap is exactly as it sounds. It is a trap that collects grease from water as it leaves drains and travels toward your sewage system. If you have an on-site septic tank, you know the importance of keeping it functioning optimally. To keep grease from hardening in the pipes and causing water flow or sewage backup issues, grease traps could be installed anywhere in your facility. Because they are extremely cheap and practical solutions, they may be in areas of a supermarket, home or manufacturing plant that you do not expect. 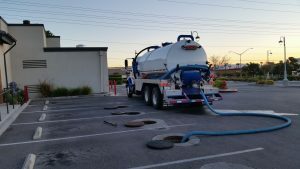 How often should a grease trap be cleaned? Depending on the frequency of use, the grease trap may need to be cleaned out more often. For example, a supermarket or hotel may need a grease trap with more intensity during the holidays. A processing plant for canned vegetables may need a grease trap serviced especially during the harvest season. No matter what type of facility you have, the procedure for grease trap cleaning and inspection is simple. You call and request a regular inspection to clean out the grease traps before they get too full and start causing problems. Why is it important to clean grease traps? Since the grease trap has a job of collecting grease, it will eventually get full. The first sign that a grease trap is clogged is that it will cause the drains to stop draining. In some cases, the blocked grease traps will cause sewage backups in your facility. In addition to making your facility unsanitary, it could cause health inspectors to shut down the building which will send customers home or interrupt production. 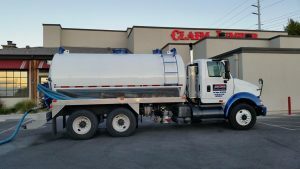 Work truck Claim JumperAmerican Pumping vacuums, pumps, and hauls the liquid waste and sludge from sand traps and other liquid waste receptacles. While grease traps are a small part of what we have to offer, we take pride in each inspection, repair, cleaning and installation we do. To get started, call us for an inspection. 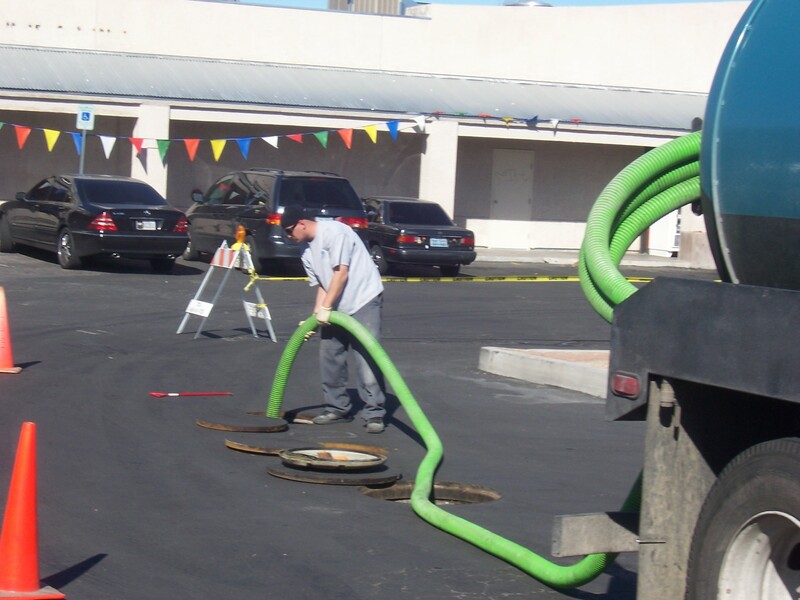 Once we take a look at your grease traps, we can let you know if they are ready to be cleaned. We look forward to hearing from you, and we can answer any questions you may have when you contact one of our friendly staff.